When it comes to relationships and sexuality, we are all searching for something. Whether it be in the service of a simple desire for physical satisfaction or a genuine yearning for affection, the internal and external quest for companionship can be an all consuming and mysterious endeavor. In the case of legendary director Michelangelo Antonioni's 'Identification of a Woman,' that all encompassing romantic journey eventually takes on an air of paranoia and obsession, as one man searches for an ever elusive feminine ideal. With his trademark and highly influential modernist style, and a few moments of fairly explicit eroticism, the famed Italian filmmaker presents a sensual and ambiguous examination of passion and clashing sexes. Unfortunately, despite some occasionally interesting visuals, the film's meandering plot never really comes together, failing to completely connect on all of the deeper levels its aspires toward. Niccolo (Tomas Milian) is a successful and recently divorced filmmaker. After meeting a beautiful young woman, Mavi (Daniela Silverio), the two engage in a passionate love affair. 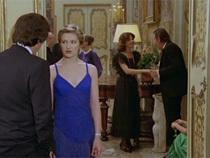 In response to their relationship, a mysterious man threatens Niccolo, and has him repeatedly followed. Concurrently, the director starts to conceptualize his next film project and becomes obsessed with finding the perfect leading woman. Eventually, his relationship with Mavi strains and she suddenly disappears. Unable to move on, Niccolo embarks on a search, which ultimately leads to a relationship with another a young woman, Ida (Christine Boisson). As he gets closer to tracking Mavi down, Niccolo must examine all of the contrasting affairs and obsessions in his life, culminating in an ambiguous climax. The first half of the film works quite well, setting up an interesting relationship between Niccolo and Mavi. Early scenes with the characters together present a visceral look at frank sexuality and an insightful but underdeveloped examination of class structure (a staple of the director). Through it all, Antonioni uses elegant compositions, long takes and sumptuous color to evoke emotions and meaning. Contrasting cool and warm color palettes add visual flair to the image and the memorable midpoint climax, set along a foggy highway, is an absolutely exceptional display of the filmmaker's command of tone. After Niccolo recklessly evades a tailing vehicle, he and Mavi have a fight, which sends the angry woman out into the fog filled streets. Through slow building tension and mystery, Antonioni is able to create an eerie and otherworldly air that uses the hazy setting to bolster the drama of the scene, creating an almost surreal quality out of stark realism. Very little actually happens outside of Niccolo walking around a bit in the haze, but the thick clouds and moody ambient effects create a feeling of uncertainty that the director then brilliantly undercuts. The scene is a prime example of Antonioni's trademark style of slow pacing and wandering, monotonous action, and marks a high point for the film that it is disappointingly unable to reach again, as it instead loses its way shortly after with about half the running time left to go. As evident in the famous fog scene, Antonioni is known for creating a kind of elongation of time through his lingering shots and wandering protagonists. While this style is evident throughout many sequences in 'Identification of a Woman' the director also employs an almost directly antithetical technique that presents a slight contrast to some of his other earlier work. Several cuts between scenes offer rather abrupt transitions that present a sort of compression of time, speeding us along through the narrative. While interesting, this technique doesn't always work and can leave many shifts between plot points feeling very rushed and incomplete. This is perhaps no better evident than in the cut that takes us from Mavi and Niccolo's time together in the country to her sudden disappearance. Going along with this, is an overall clunky quality to the script that makes it seem like there are pieces missing at times. The second half suffers the most from this feeling, and while there is certainly a level of intentional ambiguity to Antonioni's presentation there is also an aspect of confusion to the narrative that is simply a result of poor scripting. Though previous masterpieces from the director like 'L'Avventura,' 'La Notte,' and 'L'Eclisse' sucessfully evolve a meandering, listless quality into beautiful and artistically potent content, here the unfocused plot just feels downright unfocused. 'Identification of a Woman' is a lesser effort from the celebrated director, but still manages to present some occasionally strong material. The script does contain many interesting ideas about passion, obsession, sexuality, and the divide between men and women, but the clunky, vague plot ends up losing its way. Thankfully, the director's visual style is strong, and there are numerous memorable sequences that display a great command of mood and tone, including the famous fog scene which when taken on its own, is among the filmmaker's best work. While there are some aspects of the movie that simply don't connect as well as they intend to, 'Identification of a Woman' still has several flashes of brilliance that make it a worthwhile experience despite its flaws. 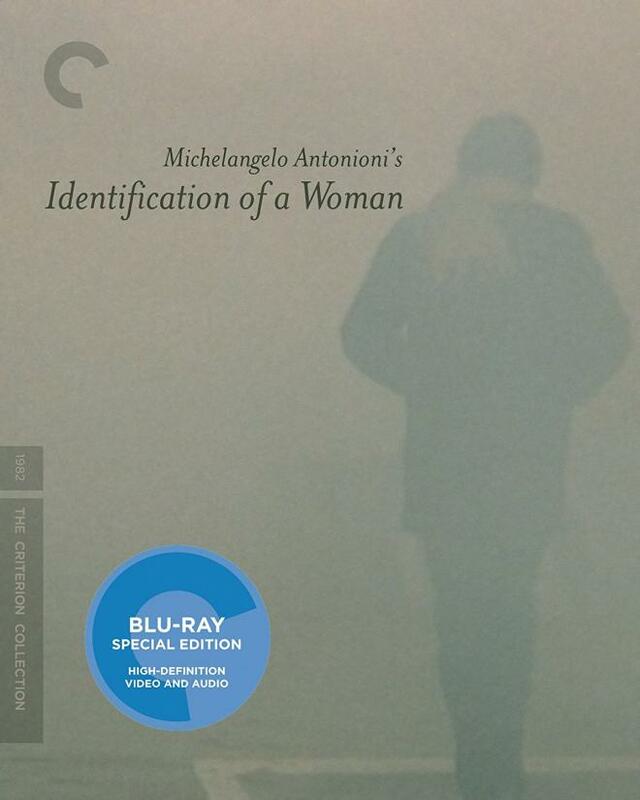 Criterion presents 'Identification of Woman' on a BD-50 disc housed in their standard clear case with spine number 585. A booklet is included in the package with an essay by critic John Powers and an interview with Michelangelo Antonioni that was conducted by Gideon Bachmann. The movie is provided with a 1080p/AVC MPEG-4 transfer in the 1.85:1 aspect ratio. Though some sequences are more impressive than others, the film has a strong visual style that features some great detail and use of color. The print is in decent shape but there are sporadic specks, signs of dirt, and hairs visible. One shot actually features a pretty distracting yellow stain of sorts, but thankfully the majority of the movie is in perfectly fine shape. A moderate layer of grain is visible and adds a natural, filmic quality. Detail can be very strong, though some sequences are softer and flatter than others. An early scene that takes place in an opulent, upper class party is particularly impressive and at times becomes a feast for the eyes, with fantastic clarity, depth, and absolutely wonderful colors. The way one character's deep blue dress contrasts against the otherwise warm color palette of the room, presents a visual and artistic treat. This actually seems to be become a kind of motif throughout the film, with Antonioni alternating and contrasting cool and very warm hues. The famous fog scene comes across well, and the potentially problematic hazy photography looks great on Blu-ray. Black levels are solid and contrast is good without blooming. Though some scenes are less striking than others, and there are some minor issues with the print, 'Identification of a Woman' looks great. Antonioni's creative visuals and occasionally gorgeous use of color benefit nicely from an HD presentation, and the transfer does a good job of preserving an authentic film-like quality. The audio is presented in an uncompressed Italian Mono PCM track with optional English subtitles. Though perfectly fine, the track is rather unremarkable and lacks dynamics. Dialogue is mostly clean but there is some minor crackle in a few isolated incidents. The single channel of audio doesn't really have a lot going on and while various low-key effects and more dramatic music cues come through decently, they do lack substantial fidelity. With that said, silence and atmospheric sounds are used well in some instances, including the eerie fog scene. The mix is pretty flat and low frequency activity is negligible. The audio gets the job done but not much else. While there are inherent limitations to any mono track, considering its comparatively young age, this mix does little to stand out. Theatrical Trailer (HD, 3 min) - The film's trailer is presented in 1080p with Italian Dolby Digital 1.0 sound and optional English subtitles. Though a decidedly lesser effort from the acclaimed filmmaker, 'Identification of a Woman' is still a worthy example of Antonioni's distinct style. The plot is a bit meandering and at times clunky, but certain sequences carry an effectively mysterious and sensual quality. Despite some minor print damage, the video transfer is great and while very basic, the audio gets the job done. Though the included booklet has some interesting material, in a rather uncharacteristic move, Criterion has disappointingly included no disc oriented special features. Still, the film is certainly worth a look, especially for those that admire the director's other work.